Many of you know I am the outdoorsy type, and I am a huge fan of our State parks. Alabama has some BEAUTIFUL parks, and there are 22 in all. I will admit that I have not been to all of them, but I do have my favorites. One of my new favorite parks is Lake Guntersville State Park. 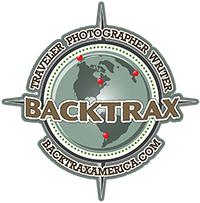 This park is located in the north-east corner of Alabama, on the banks of the Tennessee River and in the Gunters Mountain. It overlooks the beautiful 69,000-acre Guntersville Reservoir, and has more than 6,000-acres of natural woodlands. (Insert smile here!) The tornado that ripped through Tuscaloosa and Birmingham, on April 27, 2011, also found its way up to Lake Guntersville State Park. It changed this landscape forever. With minimum damage to the lodge, one chalet and five cabins ruined, the majority of the damage was to the campgrounds and the nature center, which were destroyed. The buildings can be replaced rather quickly, the landscape is up to Mother Nature, and will take time. 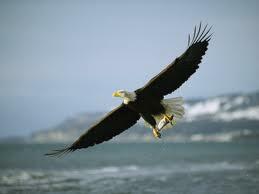 As I mentioned earlier, Bruce and I went to Lake Guntersville State Park to see the eagles fly. 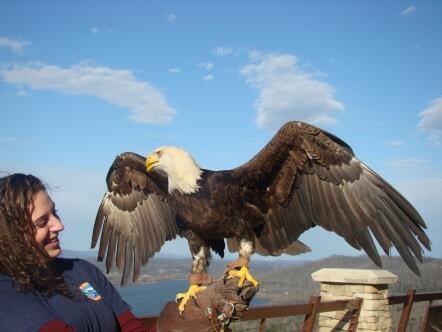 Every Friday, Saturday and Sunday in January, and the first two weekends in February, Lake Guntersville hosts the “Eagle Awareness Weekends”, and Patti Donnellan, who is the Parks Naturalist, just wrapped up her fifth year. This program has been held for the past 26 years, and is extremely popular with all age groups. Added bonus, IT’S FREE! I will have to be honest, I was not expecting many people to be there. IT WAS FREEZING! But, it was packed. We gathered in the lodge lobby where they provided hot chocolate, coffee and information on all of the different birds of prey. After a brief introduction we were on our way. We had a caravan of cars traveling to the nesting site at the dam, and there it was! High on top of a swaying pine tree was this massive nest. 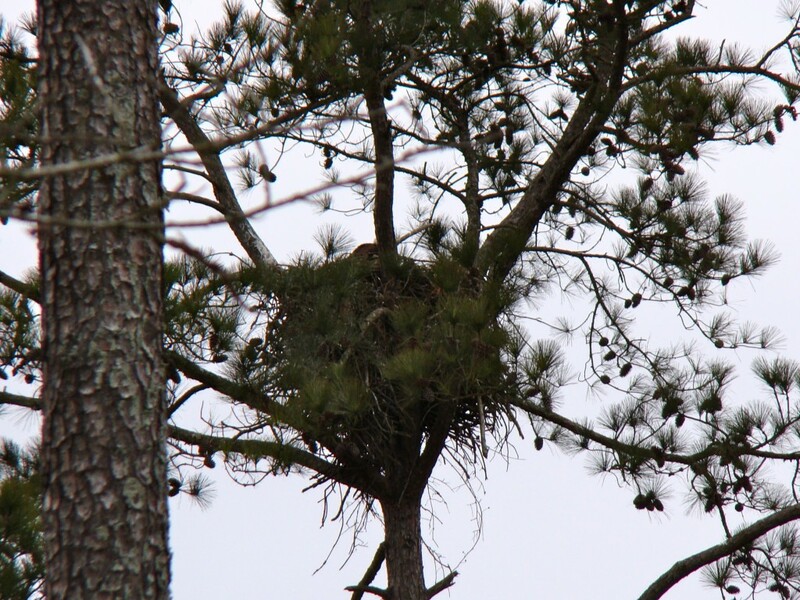 The nest is 6′ deep, 9′ wide and weighs approximately 1,000 pounds. Flying high above us were the adult eagles. One of them swooped down to the lake, caught a fish and brought it back to the nest where it fed the three babies. If you wanted to get “up-close and personal” you could look through the binoculars they had set up for this purpose. Here are a few questions I asked Patti about the eagles. BT: How many people come for the EAP each year? Patti: We have a several thousand people enjoy Eagle Awareness every year. BT: Do both parents care for the babies, and how long do the babies stay in the nest? Patti: Yes, both adults build the nest, incubate the eggs, and care for the young. The young stay in the nest for about 3 months. They will begin their first flights at that time. BT: Are they top of the food chain as far as raptors go? Patti: Yes, eagles are at the top of their food chain, which is why they took such a blow from pesticide use back in the mid to late 1900’s. 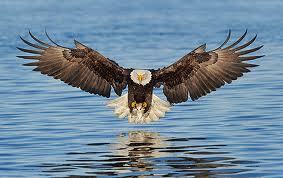 Chemicals accumulated through the food chain and ended at the eagles and other top predators. BT: How many eagles are in the vicinity? Patti: Since Bald Eagles were taken off the Federal Endangered Species list in June of 2007, funding is no longer there to monitor how many we have in the area, but we are confident that there are about 15 nests in Marshall County. BT: When the babies leave, do they stay “close to home” and build a nest or do they move on? Patti: They will stay around the parents for the first year to learn how to hunt, fish, steal from other birds, etc. until the parents begin the next nesting season. They tend to stay as close to the nesting area as possible to live out their lives. Eagles return to nest where they learned to fly. BT: How much area do they dominate? How much space do they need? Patti: That varies. Typically in this area, they seem pretty spread out – at least a couple of miles between nests. In places like Alaska, it is not unusual to see hundreds of them congregate in areas where there is ample food. With the snow swirling around on this windy day, we stood there in aw at this majestic site. 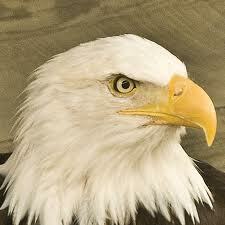 Unless you have seen an eagle in person, you have no idea just how big they truly are. With a wing span of 9′, and their incredibly strong talons, it is easy to understand why they are our National Bird and at the top of their food chain. When I could no longer feel my fingers, (Yes, I had gloves on.) and the adult flew away from the nest, Bruce and I headed back to the lodge for lunch. This lodge is beautiful! There are huge fireplaces everywhere, and of course, I loved all of the wood. Every view from the front of the lodge was gorgeous, and the windows went from floor to ceiling. After a large buffet lunch and a much-needed walk around the lodge, we gathered in one of the ballrooms for a presentation made by Natures Echo. The speaker was Stacey Truitt, and this lady knew her stuff about birds of prey! A couple of ladies that accompanied Stacey, brought in a few birds for us to look at, and take pictures of. Talk about “up-close and personal”! Like I said, this program is free and runs for six weeks, starting in January. There is a different speaker each weekend, and I am glad I was able to take part. I wish I could have stayed for the whole weekend. Thank-you Patti! The next time you are traveling, and need a place to spend the night, I encourage you to look into one of the State Parks that are close by. They are usually less expensive than the chain hotel and the view will be worth the effort. I would much rather be surrounded by nature than cement any day.